I requested a copy and I&apos;m happy to report there are a treasure trove of tips in Sutton&apos;s work. The author doesn&apos;t expect you to invest millions on looking good--just the will to make the most of what you&apos;ve got. I like her "Professional Stylist Tips"(the darker the denim the longer your legs look) and her overall can-do attitude. And California moms should note Sutton is hosting an event on 10/10 at the L&apos;Oreal Lab--read more on Sutton&apos;s Blog. Below, Sutton shares a her Mommy-style Dos and Don&apos;ts? Do: Understand that you can be super fabulous and stylish if you are a mom. Don&apos;t: Feel discouraged if you have baby weight to lose or feel you are not in shape. Just choose clothes such as a wrap dress to to help you feel chic during the transition. Do: Take a couple of minutes (yes ,it can be done) to at least put on some tinted moisturizer and some lip gloss. Don&apos;t: Complain that you do not have the time to pull yourself together. Do: Keep it simple. I think Mom style should be stylish, chic and simple. Don&apos;t: Overdo jewelry or accessories. Do: Integrate the latest trends, if appropriate, into your wardrobe. Don&apos;t: Wear trends that are not right for you! Skinny jeans belong on teenagers and 6 foot tall models. Do: Invest in some form-fitting, stylish sweat suits. These are perfect to run around with your kids and do errands. I love classic Juicy sweats and Lucy. Don&apos;t: Wear your old college sweats. Did you say lucy? I thought so! 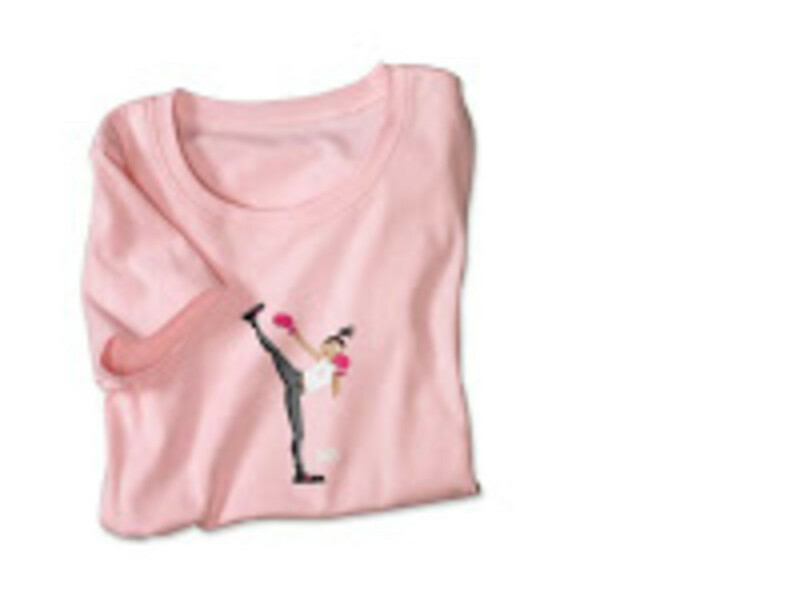 Lucy activewear is loved by all the trendy moms I know. And this fall lucy is supporting Breast Cancer Awareness Month with two new signature Breast Cancer Awareness tee styles (ten percent of sales are being donated to local organizations). Shop online or in-store for these sweet tees. What&apos;s more exciting that shopping for a cure? Why winning free stuff. Lucy is donating two tees for a Momtrends contest. To enter, leave a comment with the name of a woman you&apos;d like to honor. One entry per email. Contest ends 9/30/08. Open to US residents 18 and older. One winner for each tee. Winners wil be announced on a October Momtrends post.